I received this book for free from Ensign Peak in exchange for an honest review. This does not affect my opinion of the book or the content of my review. Maybe today the sun came up just like it always does, and you rolled out of bed just like you always do, and you knew it was going to be one of those days. But maybe today could be different. What does your soul need? What do you long for? This path that you are on, where is it taking you? How do you fill your unscheduled moments? Is your heart content? Perhaps you feel as if you are missing something. If you want life to satisfy your soul, you have to start living the soul-satisfying life. 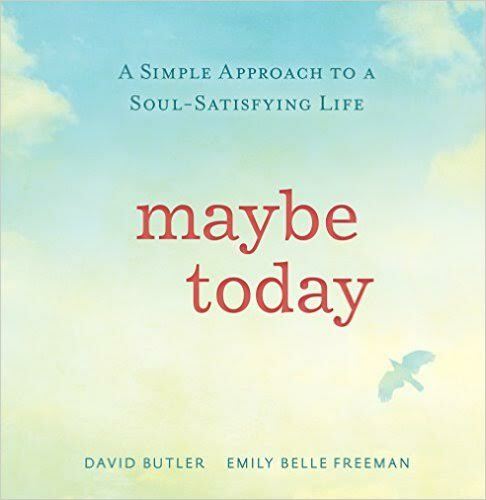 Maybe Today describes five holy patterns that, when lived daily, will lead to the soul-satisfying life. 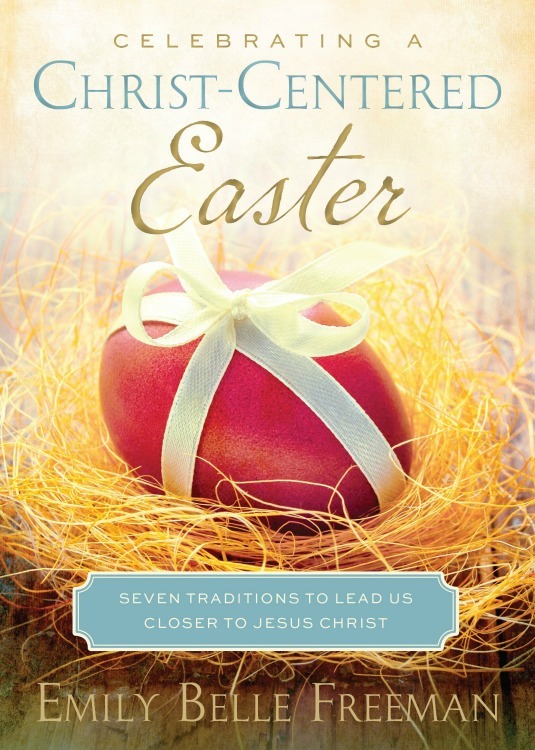 Discover how the personal experiences of people who were closest to the Savior during the final week of His life can change the way your family celebrates Easter. Learn the meaning behind the wheat baskets, the forget knot, the red egg, and other traditions that will help Easter become a "High Holy Day" in your heart and in your home. Celebrating a Christ-Centered Easter offers hope for an Easter filled with the Spirit of Christ as we offer our finest to Him in deepest gratitude for His sacrifice. Return to the spiritual roots of this holy celebration with this beautiful gift book that will help bring you and your family closer to Jesus Christ. In our family we are always looking for ways to make Easter more focused on the Savior. Emily Freeman shows us just how to make it a “High Holy Day,” as special and meaningful as Christmas. She includes crafts, scriptures and symbols each household can incorporate into their holiday, while weaving seven chapters of the disciples and citizens personal interactions with the Savior. She makes Easter a personal place where we can come to know more about the Savior’s sacrifice and resurrection. I highly recommend making this book a companion to her other book a Christ- Centered Christmas. The two make bookends to our most sacred celebrations. Beautifully written and rich with doctrine. EMILY BELLE FREEMAN is a coach’s wife, a mother to four children and a few others who have found refuge in her home, author of several bestselling books, and sought-after inspirational speaker. Her days are spent watching over teenagers, her flock of pampered chickens, and a rabbit that she adores. She finds great joy in studying the life and teachings of Jesus Christ. Her deep love of the scriptures comes from a desire to find their application in everyday life. For a few minutes every day Emily forgets about the laundry, leaves the dishes in the sink, and writes. She coauthors a blog that is a stopping place for hearts seeking all that is good: www. multiplygoodness.com. Discover how each figure of the nativity can lead your family closer to Christ this Christmas season. Learn the tradition of the tinkling bell, whip up a batch of French cocoa, create a tender mercy tree, and find ways to make your gift-giving more meaningful as Celebrating a Christ-Centered Christmas guides you through seven meaningful traditions inspired by the nativity setting. These simple experiences will give you and opportunity to escape from the frantic busyness of the Christmas season to spend time reflecting on the Savior and the miracle of His birth. With Christmas swiftly approaching, Emily Belle Freeman offers us seven weeks worth of traditions that will bring the meaning of the season back into homes. The author uses the members of the nativity – Mary, Joseph, the angel, the shepherd, the wise men, the lamb and the Christ child, along with time honored traditions and symbols we already know. As a compact, gift quality read, there are stories, scripture and hand drawn art that help us turn our hearts to Him. We are going to take the timeline she suggests, one week before Thanksgiving and carry it through to Christmas day, adding a member of the nativity each week as we learn about the figures’ role in the unfolding scene of the Savior’s birth. 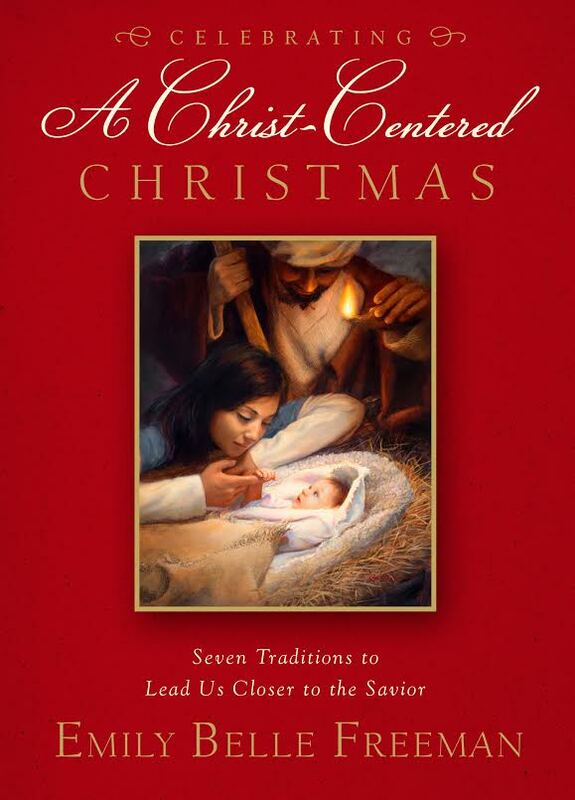 A Christ- Centered Christmas adds new traditions without overwhelming readers with an already busy time of year. I am so happy to have a new way to teach our children and prepare them for a holiday focused on He whose birth we celebrate. Have you ever wondered if God has greater things in store for you? The Bible is clear that though Peter saw himself as only a fisherman, the Lord saw him as a fisher of men, a leader among men, the rock upon which His Church would be built. Divinity gave Him the insight to extend the invitations that would help Peter discover the life he was meant to live. This full-color gift book is profound in its simplicity as the authors take the reader through the invitations the Lord extended to Peter. Journey with Peter and the Savior as you begin to understand the potential the Lord sees in you. Simon Peter is a man we know about from the Bible. A man who was asked to cast his net and then leave behind his life as a fisherman to follow Christ. In The Peter Potential, we learn even more about this story and the many others that came throughout the ministry. We are asked to apply the teaching to the multitude, the personal invitations to cast out a little form the shore and then into the deep. Through nautical photos, graphics, quotes, scripture and text, the authors challenge the reader to a higher level of discipleship, a trial of faith and the ship overflowing with blessings when we take a challenge from the Lord. This is a book I’m going to have to read several times to pick up on the layers and lessons. I’ve been through it twice and it’s left me pondering how I can become more like Peter. The only drawback with the flow of the book, is that I wish the authors would have separated Peter’s distinct experiences and stories by a small break or chapter. There are several vignettes rolled into one book, which made it a bit hard to know where one ended and the other began. Overall, an uplifting and though provoking gift quality read that holds hidden treasure waiting to be discovered. Beautiful. 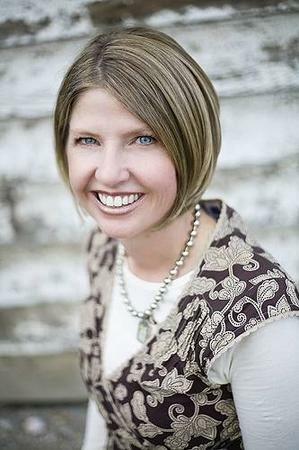 Emily Belle Freeman is a coach’s wife, a mother of four, an author of the bestselling A Christ-Centered Christmas, and a sought after inspirational speaker. She finds great joy in studying both the life and teachings of Jesus Christ. 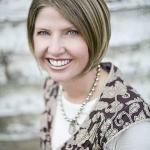 She coauthors a blog that is a stopping place for hearts seeking all that is good: www.multiplygoodness.com. 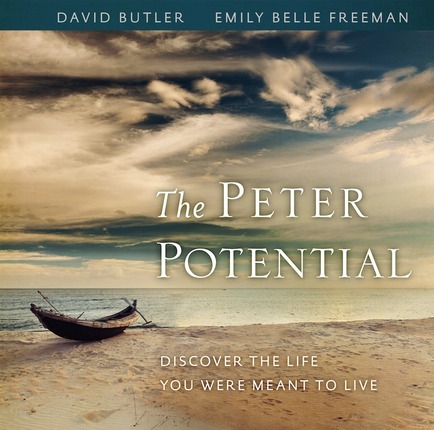 David Butler is a high school religious educator, sharing his love for the scriptures and his belief that there is an innate power for good in every human soul. He is also a motivational speaker and writer. He and his wife, Jenny, live with their five children amid the snowcapped peaks of the Mountain West. I received this book for free from Deseret Book in exchange for an honest review. This does not affect my opinion of the book or the content of my review. Christianity is facing great opposition. No one is being thrown to the lions, but many followers of Christ face persecution because of their beliefs. At the very least, most know how it feels to end up on the wrong side of a “politically correct” conversation. More than ever before, we need believing and behaving disciples – men and women who are ready to stand up and stand together to change the world as early Christians did: one righteous choice at a time. 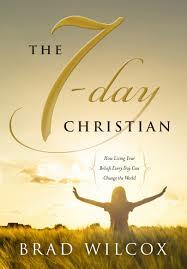 Once again Brad Wilcox’s book is full of personal stories that hit home the point…we need to be Christian every day of the week, not just on Sunday. He speaks form the various experiences with students in his classroom and things he has witnessed in his own life to remind us that we need to stand as a witness. I enjoyed the message that “living your beliefs every day can change the world.” Wilcox’s tale of a college student who stood firm against his professor sparked a new resolve within my heart to do what is right and let the consequence follow. Brad’s writing is personal and each chapter will give you several examples of every-day acts of service and steps in obedience that will bring you close to being a 7-day Christian, a true disciple. We need more Christlike Christians who have the courage to be Christlike. We need more faithful disciples who are willing to let Christ transform their thoughts, feelings, actions and motives. We need more believing and behaving disciples–faithful men and women who are ready to stand up and stand together to change the world as early Christians did- one renewed friendship, one warm embrace, one sincere compliment, one compassionate act, one righteous choice at a time. BRAD WILCOX has lived in Ethiopia, Chile, and New Zealand; he and his family now make their home amid the Rocky Mountains. 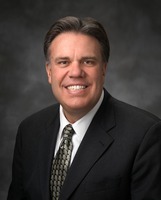 Brad taught sixth grade before obtaining his PhD in education from the University of Wyoming. His contributions as an author and teacher have been honored by the Geraldine R. Dodge Foundation, and his work has appeared in Guideposts magazine and Reader’s Digest. He once served as a member of the National Executive Board of the Boy Scouts of America and has addressed thousands of youth and adults across the United State, Europe, Australia, and Japan. He and his wife, Debi, are the parents of four children.